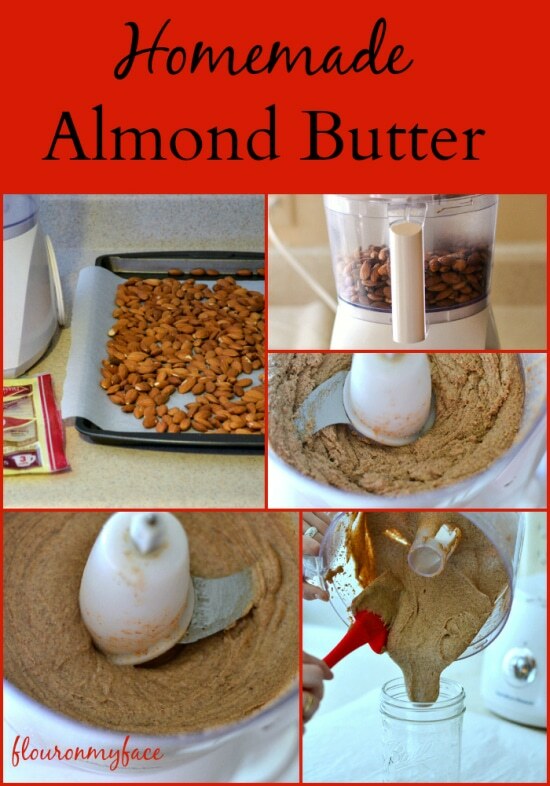 Homemade Almond Butter is so easy to make and can really save you some money. Those little containers of Homemade Almond Butter found at the health food store can be pricey. 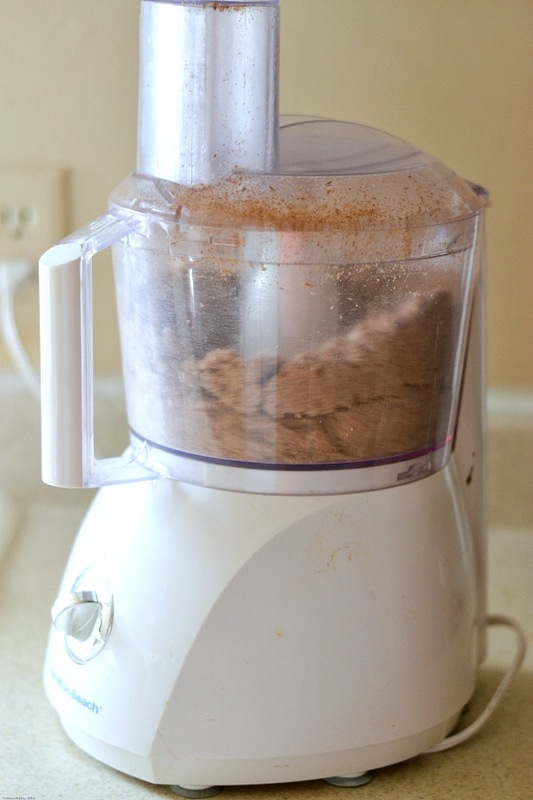 With nothing more than a bag of almonds and a good food processor you can grind some fresh homemade almond butter any time you want. There is a trick to it though. 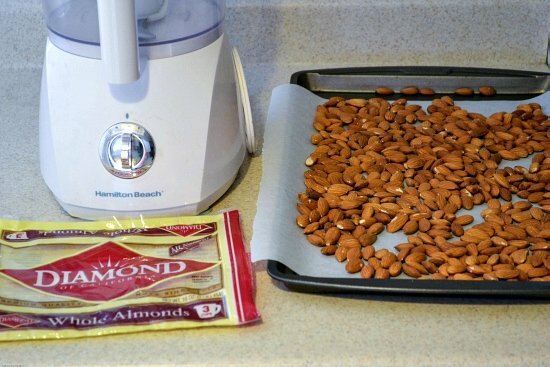 Spread the almonds over a large cookie sheet in a single layer. Bake for 10 minutes in a preheated 375 degree oven, tossing after 5 minutes. Carefully pour the hot almonds into the food processor. Pulse a few times to break up the almonds. 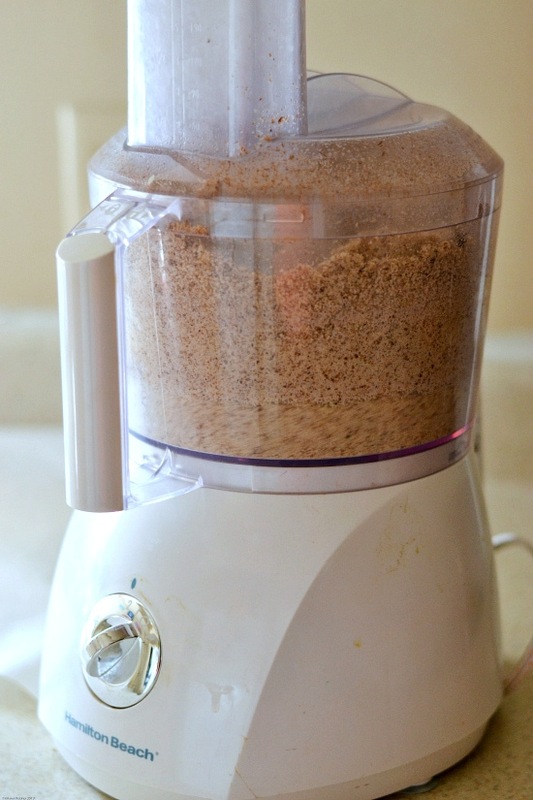 Turn the food processor on 1 or low and grind the nuts for 3 minutes. Scrap down the sides and process for another 2 minutes on low. Turn the processor up to high and process until the preferred level of smoothness is reached. I wanted as smooth as possible and processed for a total of about 20 minutes from start to finish. 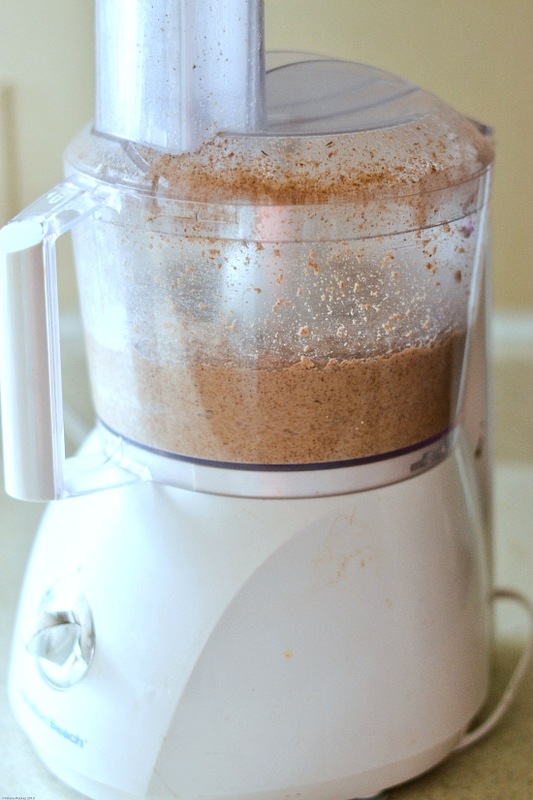 If you have ever thrown a bunch of dry nuts in a high powered blender or food processor and expected to make homemade peanut butter or Homemade Almond butter after about 30 minutes of listening to the food processor straining you probably still had a bunch of lumpy ground up nuts. 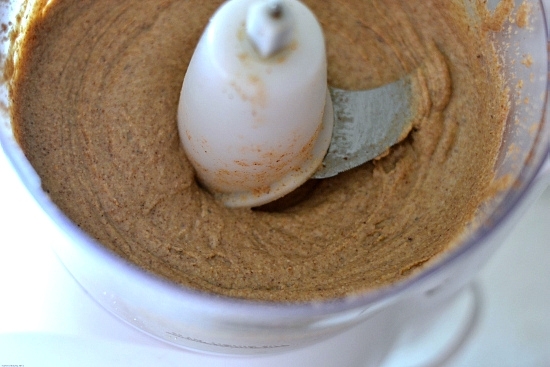 The secret to making homemade almond butter or any homemade nut butter is heat. Warming the nuts in the oven for a short period of time allows the natural oils to be released and is what helps your food processor turn a bunch of dry nuts into a healthy homemade nut butter. On a large cookie sheet covered with parchment paper spread the almonds in a single layer. I used a bag of Diamond Almonds but you can use whatever brand or type of almonds you like. Place them in a 375 F preheated oven for 10 minutes. After the first 5 minutes carefully toss the almonds and continue baking for the remaining 5 minutes. 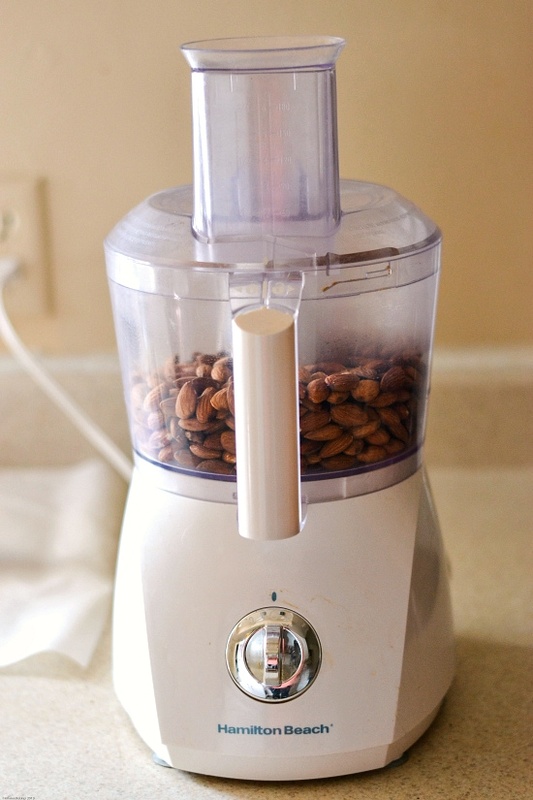 Remove the almonds from the oven and immediately put them in the food processor. Pulse the almonds a few times to start breaking them up. On low process the nuts until they are ground up finely. In my processor it took about 3 minutes. 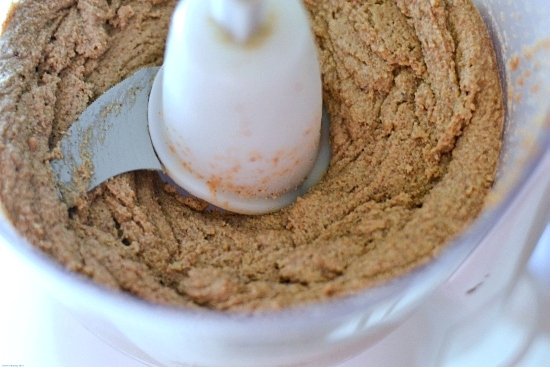 How should homemade nut butter look? This is what the ground almonds should look like. Now turn the food processor on high and let it rip. 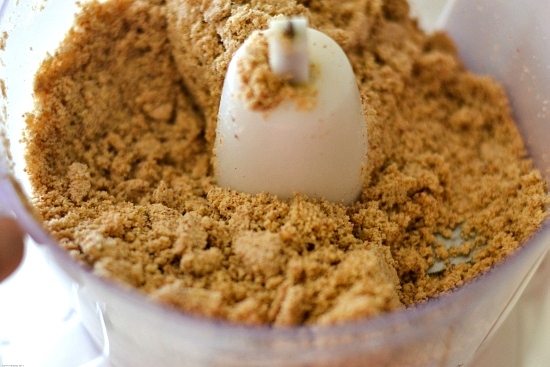 After just a few minutes you will see the ground up nuts start to come together and form a paste. At this stage the almond butter is almost done. About 15 minutes has elapsed since I first put the almonds into the food processor. Continue to process the almonds until you come to the consistency that you like. I prefer a smoother nut butter so I kept going for another couple of minutes. I don’t think it is possible to get a completely smooth almond butter at home but this is good enough for me. I’ve been enjoying my home almond butter on a warm tortilla with a sprinkle of cinnamon and a drizzle of honey. It make a perfectly healthy afternoon snack. I put my homemade almond butter in a pint canning jar and have it in the refrigerator. Since there are no preservatives it is a good idea to keep it in the refrigerator. 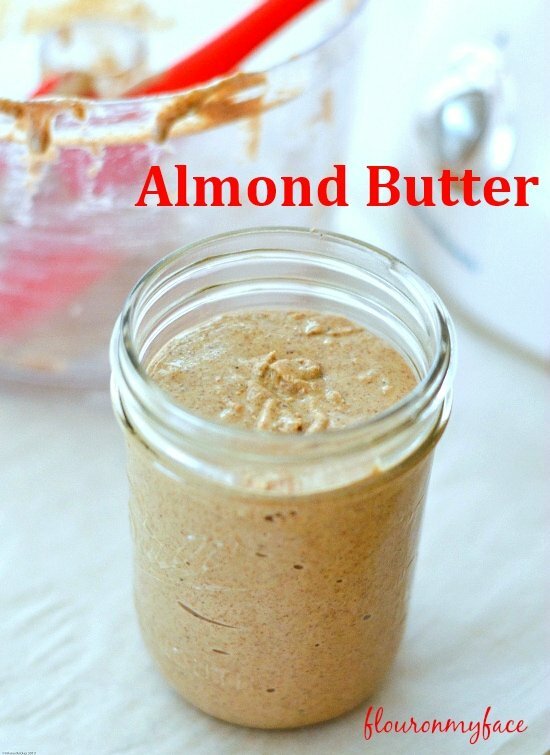 Homemade Almond Butter is so easy to make and can really save you some money. Those little containers of Homemade Almond Butter found at the health food store can be pricey. I never knew how to make this before. I’m pinning. This is great. 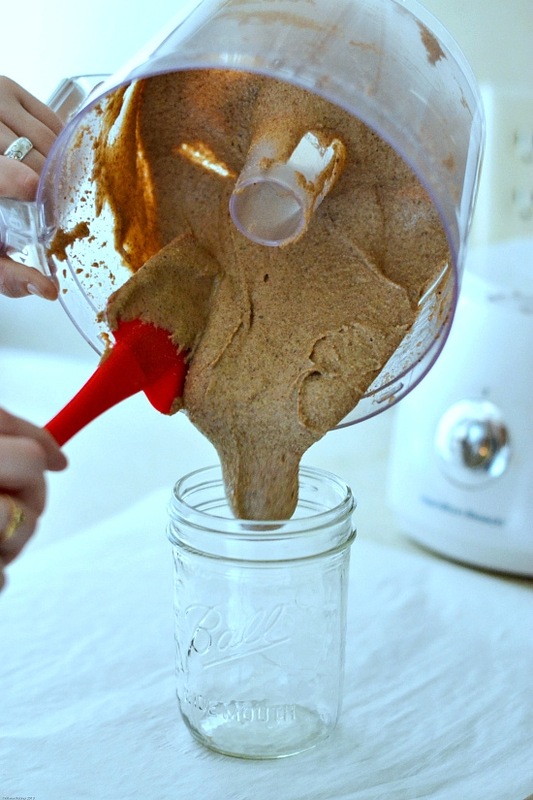 I do this all the time, but most do not realize how easy it is to make your own almond butter. Thanks for sharing! Oh….. so THAT’s how you do it! 😀 I am so glad I found this in the Motivation Monday Linky! I can’t wait until we harvest our almonds to try it. Well, maybe I won’t wait and just go to the store and buy some almonds. 😉 Thanks so much! I am jealous you have your own Almond trees. One of things I miss most about not living in Georgia anymore is the pecan trees. I am going to try this soon. I know a person in my facebook fitness group who made some cashew nut butter a while back – I think she put a little olive oil in it. I like the idea of this being just the nuts and nothing added. Your tortilla snack sounds really good – maybe I can get my kids to try that. Heating the nuts helps release the natural oils. Will have to try this with cashews. My mom was raving about cashew butter, but can’t find it anymore in the store she used to shop in. She will love this! Heather I bet cashew butter would be wonderful. Thanks for posting. My almond butter turned out great! You are welcome Darlene. I will be making another batch this week. Just picked up my almonds today.